by: Commissioner Kristen Rosen Gonzalez, Meeting the parents of Joaquin Oliver Saturday was both a humbling and inspiring experience. 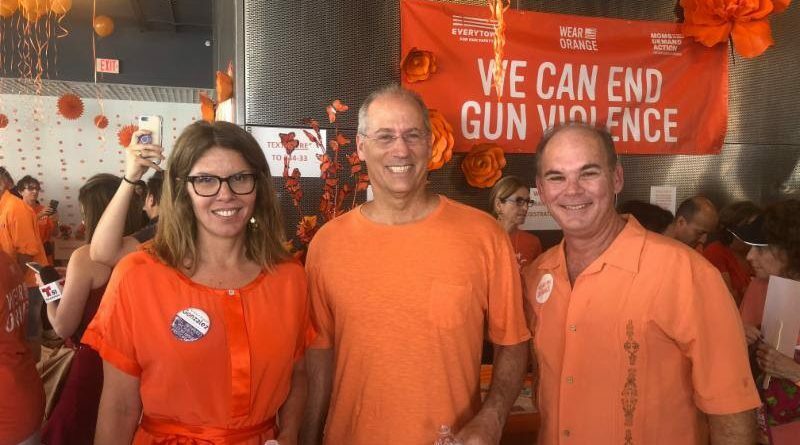 Manuel and Patricia Oliver, whose son was one of the students murdered Feb. 14 at Marjory Stoneman Douglas High, joined dozens of mothers and fathers who rallied in Miami in favor of gun control reform that would make us safer. When Manuel Oliver symbolically left the empty space at the podium for his son Joaquin and spoke from the side of the room, it was heartbreaking. When Patricia Oliver said that the thought of her son’s presence behind that podium gave her the strength to speak and go on with the fight against the National Rifle Association, I got goosebumps and teary. Joaquin Oliver would have graduated today from high school and embarked on the rest of his life. Four of the 14 students killed in the Parkland shooting were seniors. That ceremony today is going to be tough for the Olivers, who said they would be there. “I lost my best friend,” Manuel Oliver said Saturday. I stand with the Olivers and with the other parents of the children killed in Parkland and in Sandy Hook and in Columbine. I stand with the organization Moms Demand Action for Gun Sense in America, which organized the rally Saturday to demand that Congress make common sense changes to our gun laws — ban bump stocks, close the gun show loophole, establish universal background checks and ban the sale of assault rifles. There is no reason to delay these changes because every single poll shows that the American people overwhelmingly support them. And they should be. Lots of people are voting this year based on gun control positions and NRA campaign contributions. Saturday’s event was one of the dozens of voter registration drives aimed at young people — like high school seniors — who are passionate about this. I am the only candidate for the Congressional District 27 seat who has said it will be my number one priority to ban assault rifles and make meaningful changes in our gun laws. Maybe it is because I am the only one who has to send her children to school every morning in this current climate of fear — because you just know it will happen again. Maybe it’s because I am the only candidate who is a teacher that scans every new classroom I enter in search of the safest spot if there is an active shooting at my school.